Travel 2 the Caribbean Blog: What Is Fyre Festival? Here's the latest news update from a posting from 2017 when I asked What is Frye Festival? 10/12/2018 The highly publicized festival, promoted as an ultra-luxurious event and "the cultural experience of the decade," was supposed to take place over two spring weekends in 2017 on the Bahamian island of Exuma. The creator of the Fyre Festival was ordered Thursday to spend six years in prison by a judge who called him a "serial fraudster." Billy McFarland, 26, was sentenced Thursday in federal court in Manhattan. 4/28 - Update: Festival canceled, travelers stranded - Google "Fyre Festival" for more about this fiasco . . .
After blogging about island festivals for over a decade, I have never questioned the validity of any particular event. However the more I read about this event, the planning appears to be fragmented, and details are sketchy. 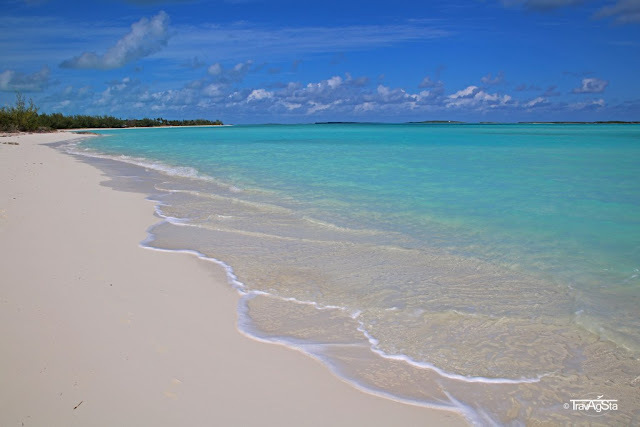 The festival is to be held on Frye Cay, Great Exuma, Bahamas. The event is scheduled for two dates, and it appears the first dates are sold out for April 28-30th. The other dates May 5-7 are still open. The Exumas are hosting the 63rd National Family Island Regatta from April 25-29th, which coincides with the first festival schedule. This is a huge annual event in The Bahamas, and this alone will take up most of the lodging on Great Exuma. Then to add more confusion, the promoters also state additional housing and events will be held across numerous other islands and cays such as Bob Cay, Dead Man Cay, Blackpoint, Staniel Cay, and Over Yonder Cay. When festival goers make reservations, are they sure where they will be staying? And what extra cost will be incurred moving around the cays? Pricing for the festival includes round-trip airfare via Miami, lodging, food and all entertainment. In fact the site promises all festival goers will be given the VIP treatment. Then as you read further, you see "snacks" will be available during the day, however lounges, cabanas, and additional food and drink options will be available for an additional charge. The festival is designed to be "cashless" - all charges will be made with a digitally-enabled wristband which will be the festival ID and password-protected payment method. As for lodging - the site states a limited number of yachts and VIP villas are still available, however all tent packages are sold out. After too many Sly Fox libations at Foxy's Bar one Old Years Eve in BVI, I spent the night in a tent on the beach. Best Advice: bring plenty mosquito spray with DEET, and watch out for the sand mites! The main festival living, stage area, and day parties are slated to be on secluded Coco Plum Beach. This is a great beach with calm waters and known for one of the best places to find shells and sand dollars. At low tide, you can wade out to the sand bars which stretch far out into the Sea. There are no bathroom facilities, and I cannot imagine this pristine paradise lined with porta-potties. Lots of Glitz & Glam! Million Dollar Treasure Hunt - Each weekend, there will be a treasure hunt with hidden treasures worth more than $1 million combined, and will include jewelry, cash, and other undisclosed goodies. 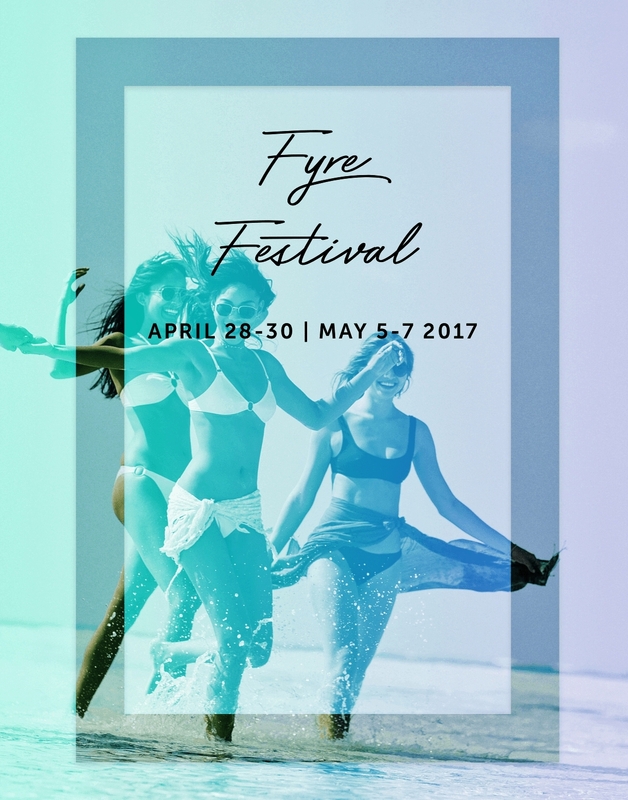 Elite Yacht Fleet - In partnership with YachtLife, Fyre Festival is bringing an elite fleet of vessels to Fyre Cay for both festival dates. After doing a little more research I ran across a guy on Trip Advisor who is attending, and finding out more as time goes on. He promises to give a review upon return, and I'm sure it will be colorful. Then I ran across this article from Buzzfeed . . .
Is Fyre Festival The Next Big Music Event Or The Next Big Scam?